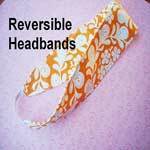 Accessorize your outfit by sewing a matching headband. 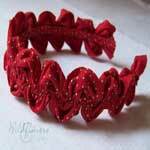 Add pearls, ribbons, lace and other items to make your headband one of a kind. 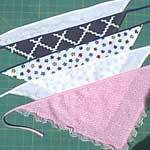 Little girls love headbands and these are so easy to make, you can make one for each of their different outfits. 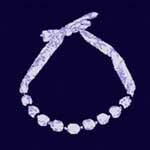 The use of pony beads makes this a unique headband that looks great tied around the head or you can even wear as a necklace. 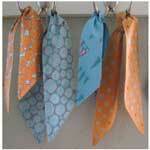 Use up your fabric scraps by making ponytail scarves that will add to your little ones cute little outfits. 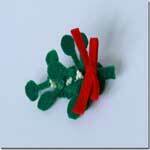 This little mistletoe hairclip is made from felt fabric and will look precious on baby this Christmas. You can easily make this adorable headband for baby in a matter of minutes using elastic and tulle. 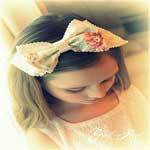 Make one or several of these floppy bow headbands to match a little girls dresses and tops. 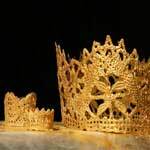 This pattern is for a crown made out of lace. Great for when children play dress up or to add to a Halloween costume. Using ruffled ric rac and this pattern you can make a colorful headband that will look pretty on any little girl's head. 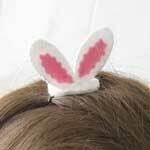 Here is a great idea for making little white and pink felt bunny ears and attaching them to a bobby pin. 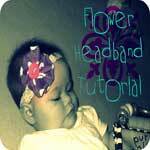 As if your baby girl isn't cute enough, she will be even more adorable with a head band you made using this simple pattern. Create a beautful and charming hair bow using vintage lace and this easy to follow hair bow pattern with pictures. 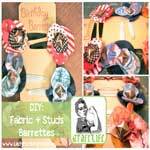 With this pattern, some fabric scraps, elastic and your sewing machine you can whip of several of these two sided headbands. 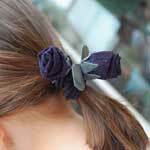 Create barrettes for everyday wear and for every holiday with nothing more than fabric scraps and metal studs. Make a ponytail something really special just by taking strips of fabric and turning them into little roses for a sweet hair tie. 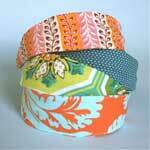 Turn a skinny plastic headband into a colorful wide one in pretty prints and colors using this pattern. 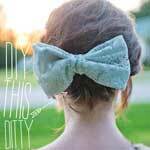 If you can cut out a triangle then you can certainly make these cute hair accessories. Add lace and other items to make them even more special.